This afternoon I was able to successfully replace the LCD Display on my newly acquired Akai S900. There are already a few replacement LCD kits available on Ebay but I found them to be rather expensive ranging from $55 to $65 not including airmail to Japan. So instead I elected to find the sources of the LCD displays which I found from buydisplay.com. On Ebay I believe I payed $20 including shipment to Japan for the LCD display that most were providing in their kits. Installation was not too difficult. After removing the front plate of the Akai S900 I was able to easily remove the old LCD Display. I then clipped the right side two wires going to the Inverter and removed that as well which you can see in the photo below. With the replacement of the new LCD display, the Inverter was no longer needed. On the left side you then have to remove the 14 pin angle connector from the old display so that you can then re-solder it to the new one. This was the only difficult part but with patience and careful desoldering, I was able to remove the pin connector just fine. I then cut the two P-401 wires connected to the inverter so that I could solder them to pins 15 and 16 to power the backlight LCD of the display. The 5V wire is the one soldered near the resistor on the Inverter board for those who know what I’m talking about. Finally, you solder the 14 pin connector on to the new display along with the P-401 wires to pins 15 and 16. Then you screw the LCD back into the front panel frame using small nuts to secure the LCD. Note that the LCD is a tad thicker so you have to screw the LCD behind the frame and not in front. That is why you need nuts to secure the LCD. You should know exactly what I mean once you see how your LCD is connected. Then you just power it on and all should work well. 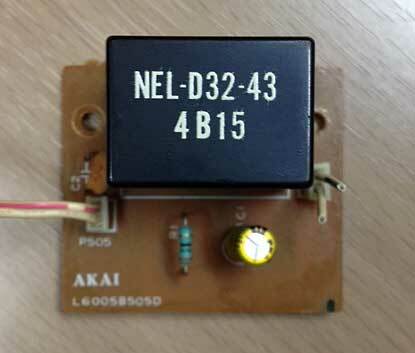 IF you should get a faded or partial lit LCD, then look for possible shorts connected to your soldering and the screws. The upper left hand screw is VERY close to the pin 15/16 solder joints. If you don’t solder that properly you may get a short. 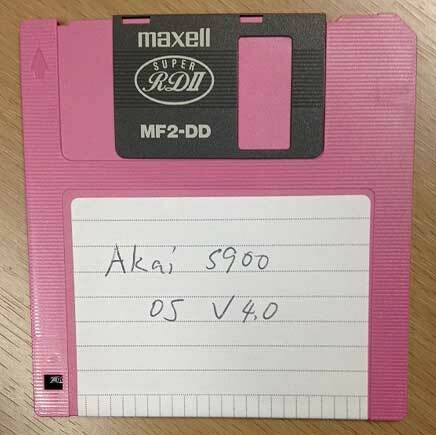 In addition I was able to locate and make a copy of the Akai OS 4.0 software that pretty much brings the Akai S900 specs alongside that of the S950. I used an old Windows 98 PC along with Teledisk to make the copy to a DD floppy. It worked great. 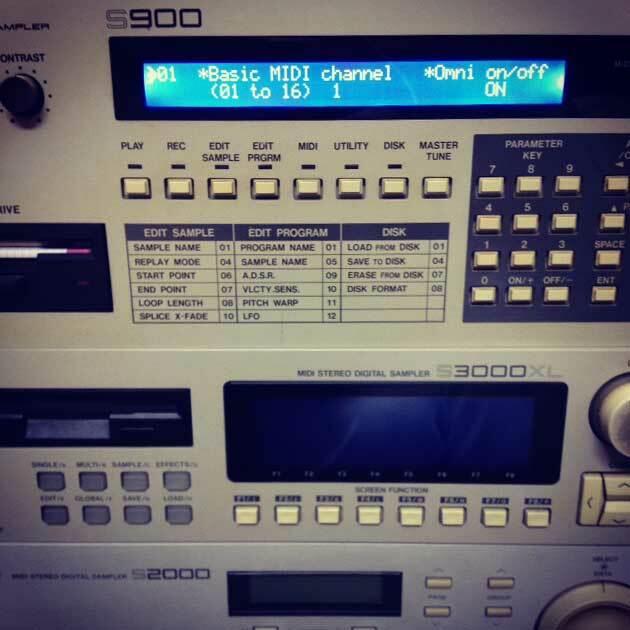 I now have a pretty cool Akai S900 that both looks and works very well. If you are having LCD issues, I strongly recommend picking up some LCD screens from the seller mentioned above on Ebay. You’ll save a lot of money from the kits that are being sold if you can do it yourself. 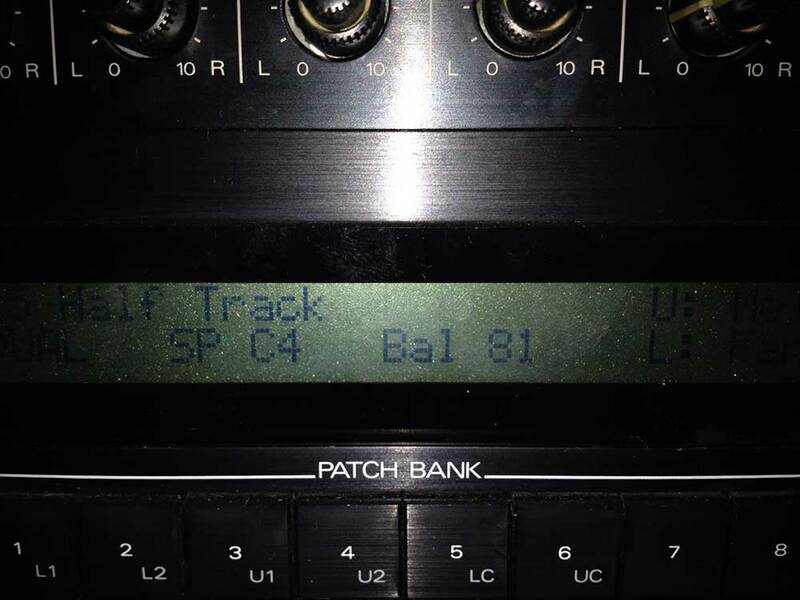 I basically figured out how to do this from my experience with changing my Yamaha SY-77 display. It was pretty much the same concept. Please feel free to post questions if you like. Thanks!